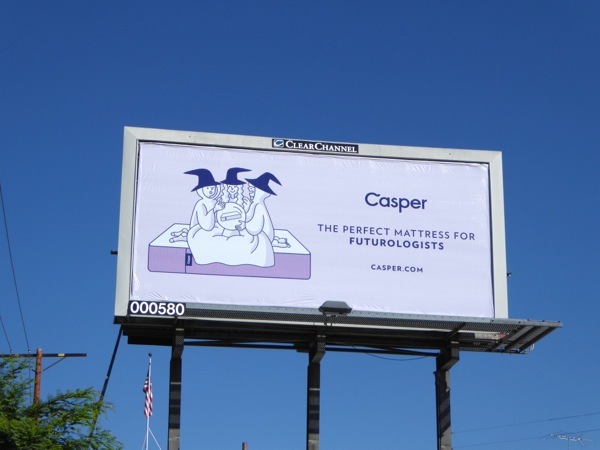 With it being Thanksgiving week and many people traveling home, or taking some time off work to prepare of the festivities, Daily Billboard thought it would be a change of pace to start the week with a fun outdoor ad campaign to get you in the holiday spirit. 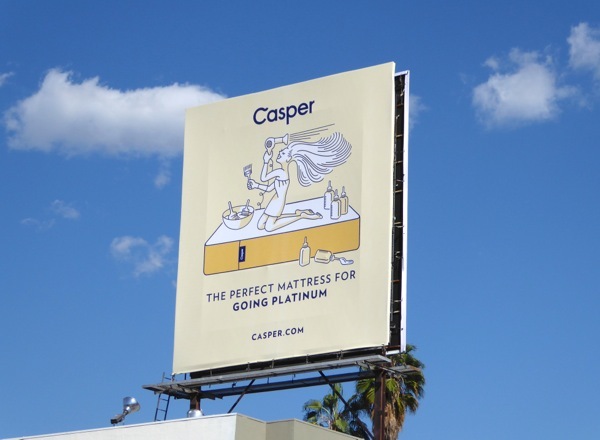 This humorous and contemporary collection of billboards for the Casper mattress certainly catch your eye with their variety of illustrations and colours. 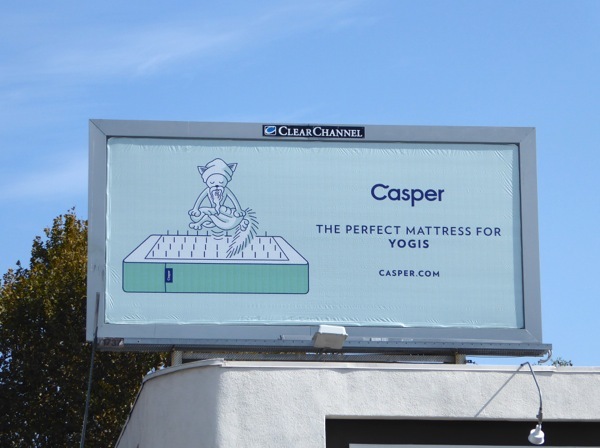 Even with all the variations their message remains clear, this is the perfect mattress for everyone, whoever you are and whatever you do. After all, everyone feels so much better after a refreshing night's sleep. 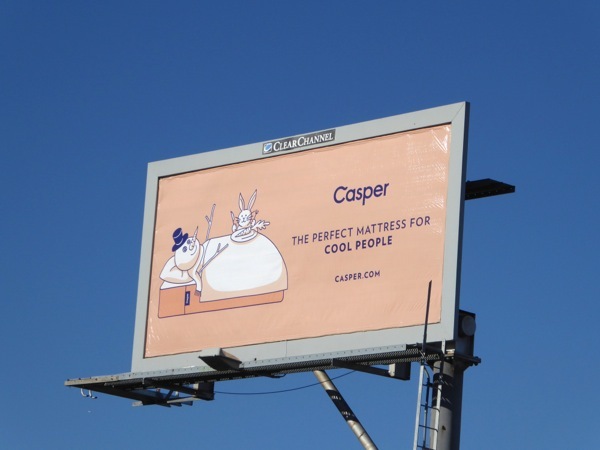 Their medium firmness mattress is a mixture of latex and memory foam, which keeps you cool and comfortable at night, and is designed to rest on any flat bed frame surface. 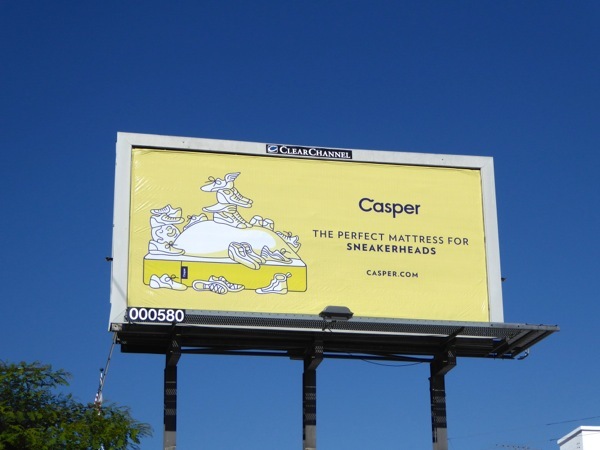 Casper comes in six different sizes but all with the same firmness to make your shopping experience easier. 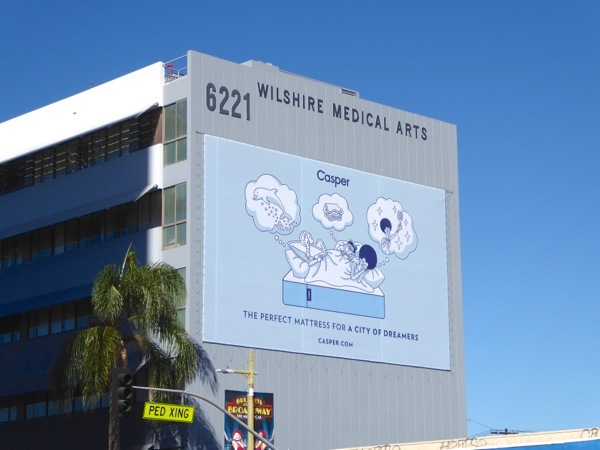 These fun billboards were first spied above L.A.'s Beverly Boulevard on October 3, then different ad creatives were snapped along Highland Avenue, Fairfax Avenue and Ventura Boulevard in Sherman Oaks through November 11, 2015. 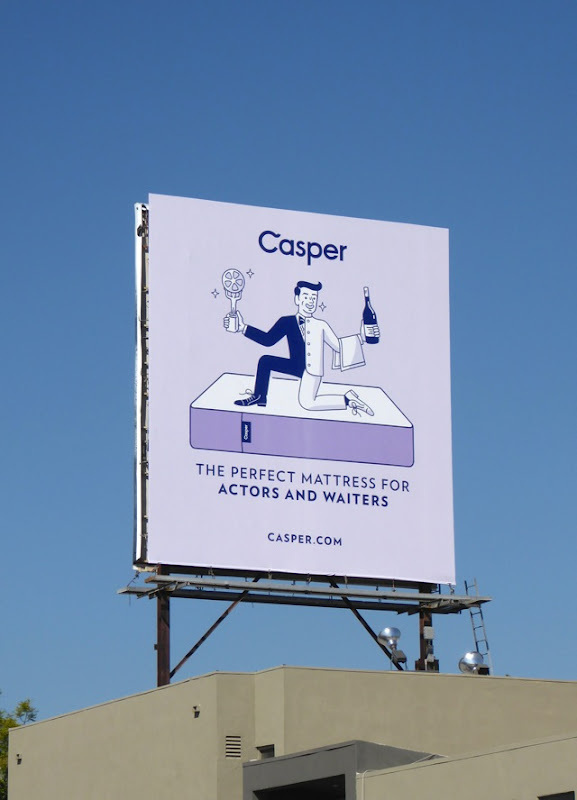 It really is nice to see a startup mattress company simplifying the buying process with their direct to consumer 'bed-in-a-box' approach and having some fun with their advertising, they're not trying to oversell you a mattress like you've just walked into a car dealership. 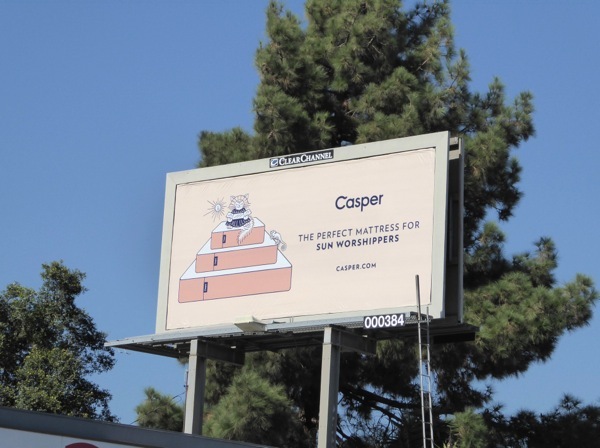 If you have guests staying with you over the Holidays and are in need of extra sleeping space for them to rest their weary heads, maybe the Casper mattress is the one for you. 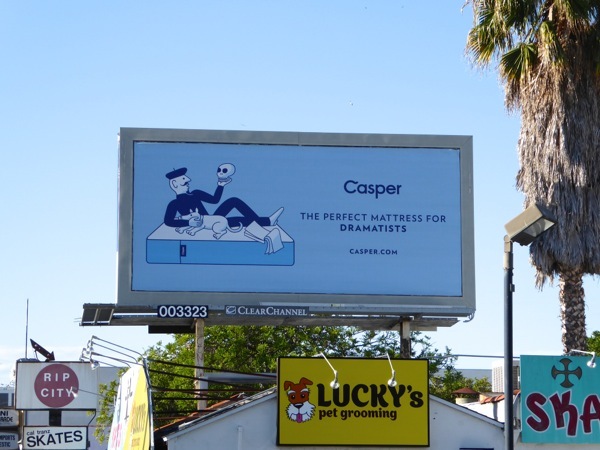 UPDATED: Here's another Casper mattress ad creative spied in Santa Monica on November 27, 2015. 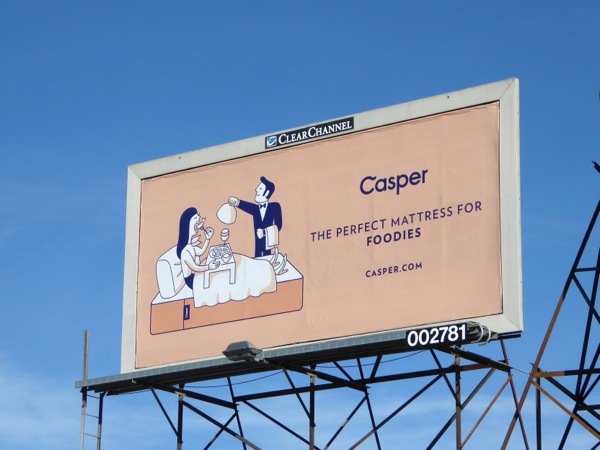 Plus here's another foodie-themed billboard snapped along La Cienega Boulevard on December 23, 2015. 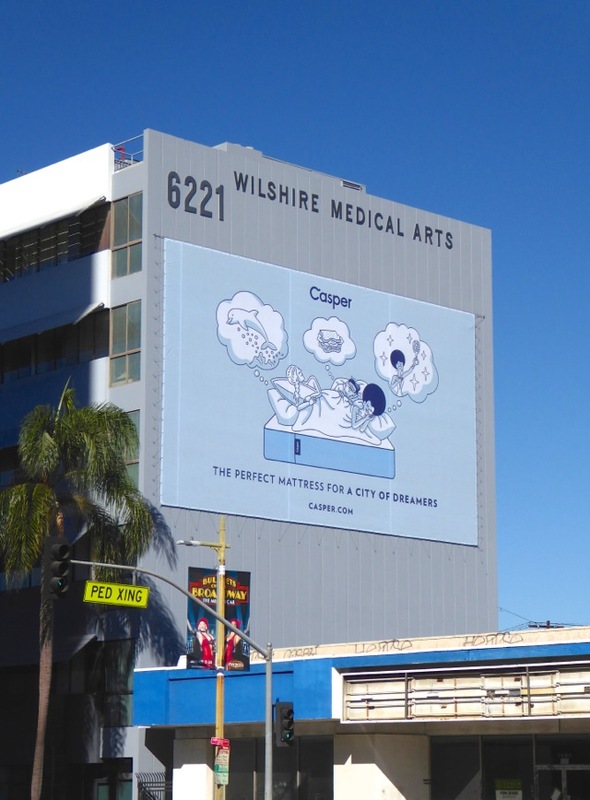 UPDATED: It looks like Casper is taking advantage of the favourable January ad rates with this full-size landscape bulletin, featuring this 'swingers' creative, along Santa Monica Boulevard on January 4, 2016.